There was a time, just before the Dark Days of Thatcher, when virtually every corner newsagency held more wonders than the Cave of the Forty Thieves. Rotating racks held in their wire grasp the latest superhero yarns from the likes of Marvel and DC/National (anyone else remember Atlas, possibly the shortest-lived publisher of all time? ), imported trashy paperbacks and – for a scant few years during the first half of the 1970s – the bizarre confabulation of hallucinogenic plotting, twisted metaphor and no-holds-barred illustration which would shortly gain infamy as the Skywald Horror-Mood. Skywald had been formed in 1970 as a partnership between former Marvel production chief Sol Brodsky and 1950s comics publisher Herbert Waldman, launching two black & white horror magazines in the style pioneered by James Warren and Creepy. All around them lay the desolation wrought by the national hysteria of a mere fifteen years earlier, when the classic work of Bill Gaines and his EC crew (Tales From the Crypt, The Vault of Horror, The Haunt of Fear) had been swept aside along with those bandwagon-jumping copycats whose lower standards had greased the wheels of the McCarthyist panic. One bemused reader of that advertisement was Alan Hewetson, former assistant to legendary comics writer/editor Stan Lee, who’d only just become Skywald’s editor following Sol Brodsky’s decision to rejoin Lee at the Marvel Bullpen. (Ironically, Warren had bought some of Hewetson’s earliest scripts and would reportedly offer him an editorial role in early 1973, which Hewetson politely declined as he “already had a home”). First impressions panned out, and the following eighteen months allowed Skywald’s newest staffer to develop the curious cocktail of Lovecraftian mythology, frothy (occasionally turgid) prose and often nauseating gore which would become the hallmark of the “Horror-Mood”. How generous. Predating Stephen King’s similarly-themed short story “Survivor Type” by a mere decade (bear in mind that King was one of Skywald’s earliest cheerleaders, albeit at a time when his name lacked its current weight), this grisly seven-pager centres on three Americans suddenly swept up in a Saharan sandstorm. Driven to desperation by hunger, they grudgingly agree to let one of their number – a surgeon – perform unanaesthetised amputations to supply the necessary protein (oddly, artist Pablo Marcos depicts surgery upon the right arm, hardly the first choice in such a situation). When the group is rescued after just two such feasts, the medic attempts to fool his fellow survivors that he’s kept his promise to sacrifice his own arm by harvesting a convenient cadaver, only to trip into insanity in the final panels (“My god… It’s getting worse before my very eyes… My fingers… The flesh is dropping off… Dripping off like sludge!”). As mentioned previously, Lovecraftian themes surfaced with deliberate regularity, both in the Skywald comic strips and its editorial pages. Nightmare #20 (August 1974) even announced the launch of the International Anti-Shoggoth Crusade, a tongue-in-cheek campaign against the same ancient forces which provided the plot for that issue’s “The Scream and the Nightmare”. Can’t say I blame him. More even than Marvel, with its “Smilin’ Stan” and “Jolly Jack” et al, Skywald ensured its readership was fully up to speed with its current creative team, a right bunch of freaks and weirdos if the artists’ impressions were anything to go by (for example, writer Augustine Funnell’s portrait as part of the first page of “Monster, Monster on the Wall” (Nightmare #12, April 1973)). “Monster, Monster” also typified another of Skywald’s idiosyncrasies: horror comics had previously produced one-off morality tales of the kind later paid homage by George Romero’s movie Creepshow, but Funnell followed up his initial story with no fewer than six sequels. In a like vein, “The Saga of the Victims” (a bizarre series in which two women are effectively relentlessly tortured by Satan) ran through five issues of Scream, whilst Tom Sutton’s extension of the Frankenstein legend straddled eight issues of all three main horror titles. Nine chapters of the company’s magnum opus, “The Saga of the Human Gargoyles” (like “Victims”, scripted by Hewetson), appeared between 1972 and 1975, with a further two planned but never published; a compilation was also prepped, which would arguably have been the first true graphic novel. It couldn’t last, of course. Marvel had caught the scent and begun injecting horror themes into its superhero line (Ghost Rider, Werewolf by Night, Tomb of Dracula, The Monster of Frankenstein), meanwhile expanding into the b&w magazine market (beginning with Savage Tales in 1971, followed by Tales of the Zombie, The Deadly Hands of Kung Fu and the much-missed Unknown Worlds of Science Fiction). By early 1975, Alan Hewetson knew the company’s days were numbered (Waldman had ordered him to accept no new work and rely purely upon material on file, a sure giveaway) and had in any case become increasingly dissatisfied with the company’s growing dependence upon foreign freelance artists (“There was no Horror-Mood camaraderie with the foreign artists, and no personal one-on-one communication for the most part, which is essential if you are trying to build a ‘team’”). The boom finally dropped on 25 March, when Hewetson notified his creative team of the immediate cancellation of all three horror titles: Nightmare #24, Psycho #25 and Scream #12 would never make it off the drawing board. His memo blamed “exorbitant production increases, rising printing and distribution costs, and a glutted magazine market”, and requested his colleagues never forget “a time of editorial freedom, and consequently literary and artistic achievement”. Ironically, Marvel, the chief culprit in that “glutted magazine market”, would eventually abandon all of its own black & white titles bar Savage Sword of Conan (“The readers liked colour,” Stan Lee recalled in Les Daniels’ Marvel: Five Fabulous Decades of the World’s Greatest Comics). In doing so, Marvel temporarily abandoned its plans to produce a parallel production line free of the CCA regulations (a plan which resurfaced in 1980 with the launch of the colour anthology title Epic Illustrated, Lee’s final project before moving to the company’s West Coast offices). 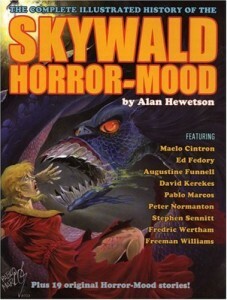 Hewetson, meanwhile, moved into screenwriting, appropriately working on an early (aborted) version of the EC homage Tales from the Crypt, whilst many of those he’d groomed went on to greater glory at the mainstream comics companies beside which Skywald had proven such a breath of fresh air. He died in January 2004, shortly after completing his memoir of those amazing, heady days on East 41st Street. On that final day, Alan Hewetson once again distilled the Mood: “It is horror. In the extreme. The moment of personal, emotional collapse, when most individuals lose their psychological balance and their desire to remain sane. “It’s the epitome of a successful horror story – if the story is well written, and if you can get under the skin of the character, and empathize with the character when they are experiencing their greatest moment of personal terror, you can share in their primal spinal. 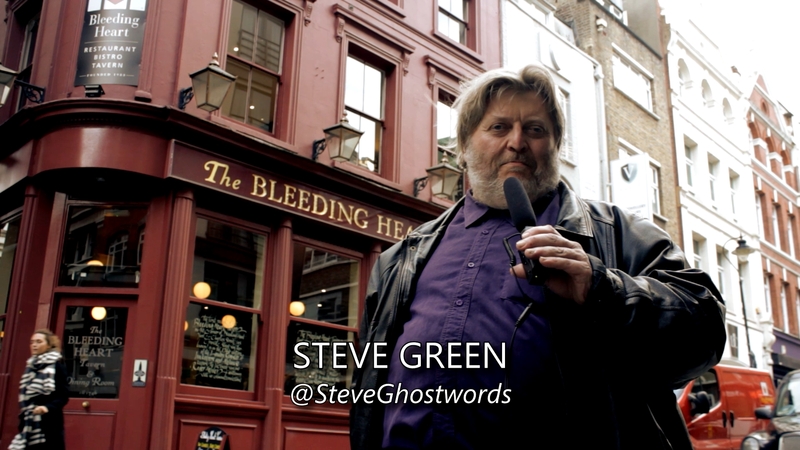 Acknowledgements: Ghastly Terror! : The Horrible Story of the Horror Comics by Stephen Sennitt (Critical Vision, 1999); Marvel: Five Fabulous Decades of the World’s Greatest Comics by Les Daniels (Virgin, 1991); The Complete Illustrated History of the Skywald Horror-Mood by Alan Hewetson (Critical Vision, 2004). Special thanks to David Kerekes at Critical Vision.